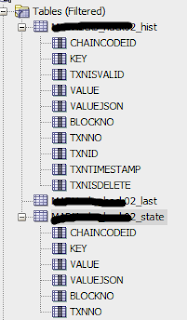 Connecting Oracle Autonomous Transactional Process (ATP) as a Rich History Database in Oracle Blockchain Platform is very easy. It takes just a few configuration steps. Let's see, how to do the configuration. As shown in the below figure, click on "Configure Rich History tab"
"Blockchain" is the most buzzing word in the industry at present. I am fortunate to be part of this technology and starting my blog writings/learnings on this technology with this post. 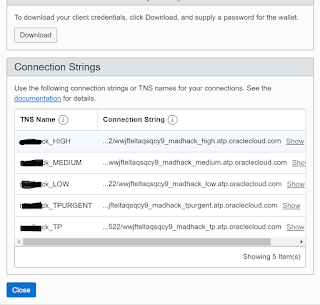 In this post, we will see how the Oracle Blockchain Cloud Service (OBCS) looks like its console, features and how Oracle made blockchain easy. #OBCS is built on open source Hyperledger fabric blockchain framework. Hence, OBCS supports all the features of Hyperledger fabric, in-fact it made easy to implement the blockchain by reducing a lot of configurations to create channels, nodes, rest services etc, so that, we can concentrate only on logic (chain code or smart contract) implementation. We need to do basic configurations, rest everything will be taken care of by OBCS. Before begin, we need to understand the basic terms used in OBCS. Founder: It is an organization which is creating the blockchain network. In OBCS, only the founder holds the Orderer. Participant: It is an organization which is participating in the blockchain network. Orderer: A defined collective of nodes that orders transactions into a block. 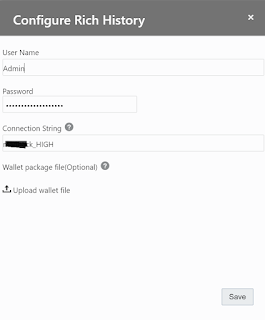 The ordering service exists independent of the peer processes and orders transactions on a first-come-first-serve basis for all channel’s on the network. CertificateAuthority: It is responsible to provide membership to peers in the network. Let's start the OBCS exploring. Network: This tab shows who are all participating in the network. The founder can see all the participants in the network, however, the participant can see only himself and the founder. The below image shows a topology view of the founder network. You can see participant organizations and their peers along with a Certificate Authority (CA) and an Orderer. If you see this view from a participant organization, it would look similar (participant organizations and their peers) except Orderer. Nodes: This tab shows all the peers including self peers and remote peers who are all part of the network. Also, a node of Certificate Authority (CA). If it is the founder, he can see an extra node for Orderer. Below image is a topology view of the nodes. 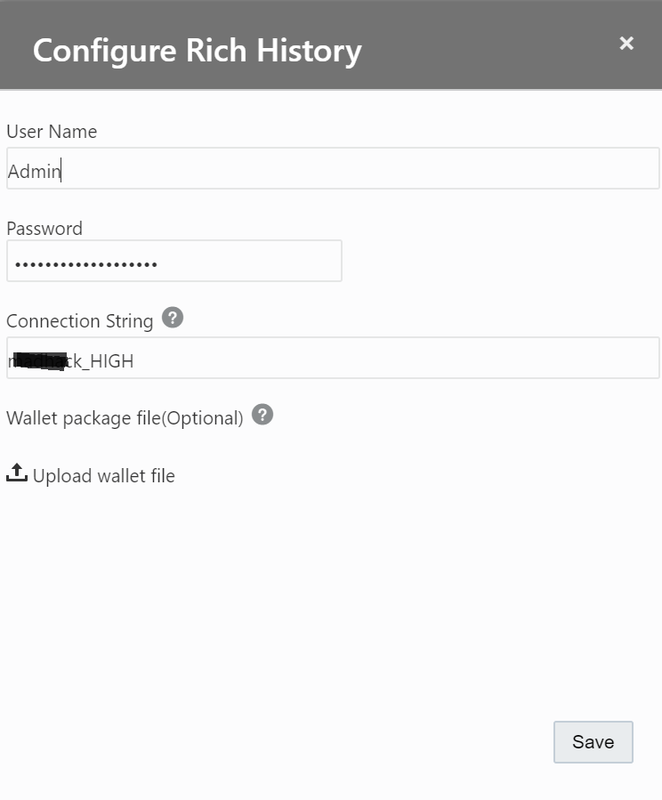 This will look similar (Nodes and their peers) in both founder and participant console. Channels: This tab is to list the existing channels. Also, you can create a new channel and join peers with it. Chaincodes: This is where our smart contact will be deployed. Here, we will do deployment, initiation, and instantiation of a chain code. While deploying, we will choose the channel in which the logic should deploy. This chain code (smart contract) can write/update ledger of the channel. At present Oracle Blockchain supports chain codes written in GO language and Node JS. However soon, it will support Java also as Hyperledger fabric is already supporting java.